The excellent protection offered by its spines have enabled it to survive relatively well for thousands of years. When in danger it rapidly rolls up into a ball and extends its spines, making it almost impossible to attack. This species only began to face serious danger in the modern age, with the introduction of many poisonous chemicals, over-cultivated landscapes devoid of hedges, undergrowth and piles of weeds, and excessive traffic. 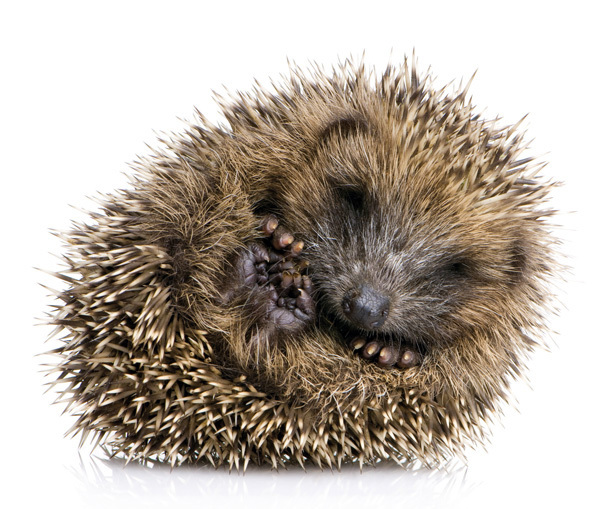 Hedgehogs like undergrowth, thick hedges and piles of wood, brushwood, hay or straw, where they can hide during the day or construct a nest. They also seek out old boxes, or make a home for themselves under stairs or in garden sheds. Mostly they prefer slightly neglected gardens or plots of land which have not been sprayed with poisons and contain no slug pellets, which are fatal for them. The Hedgehog is a nocturnal animal that goes in search of food at dusk. They are very beneficial to us because they consume what we consider “pests”, such as Snails, Caterpillars, Beetles, young Mice, etc. Anyone who has a Hedgehog, or a family of them, in the garden should do everything possible to enable these useful animals to remain. A SCHWEGLER Hedgehog Dome is ideal if you want to help the Hedgehogs in your garden: just unpack it and place it in position, that’s all you have to do. The Hedgehog Dome offers the Hedgehog everything it needs, except perhaps for food: a weatherproof cover, an insulated floor and soft hay in which to hide.